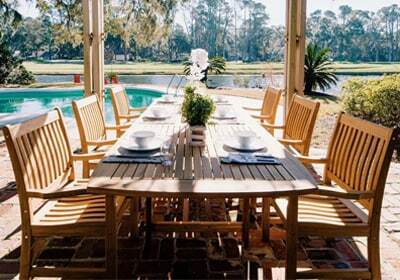 From the top dining sets to the top bar stools, our lists of best selling patio furniture will help you pick the right set for your outdoor area. 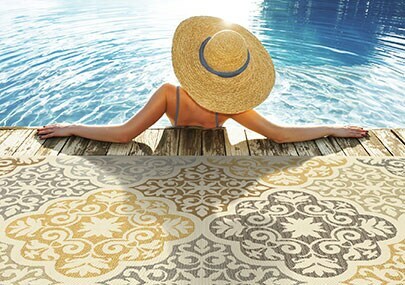 The right outdoor rug adds comfort and design to your patio. 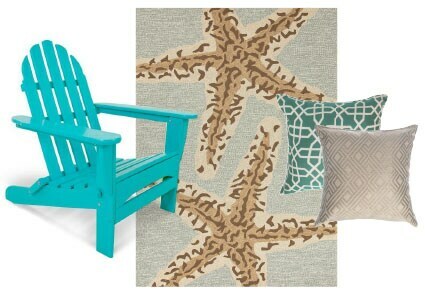 Learn more about materials, size, colors, and more to find the perfect rug for your outdoor space! 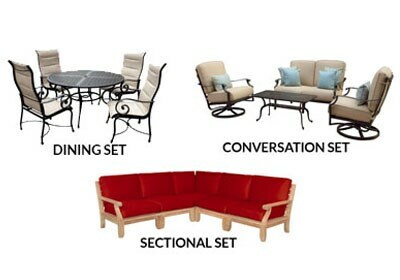 The Patio Furniture Sets Guide outlines the most popular types of patio sets - from bistro sets (perfect for small patios) to fire pit conversation sets (best for big backyards). We've compiled all the warranty details of our best-selling brands to help you make the best decision when shopping for patio furniture! Click here to compare the warranty coverage details. The Replacement Cushion Selector will help you find replacement cushions to perfectly fit your patio furniture. 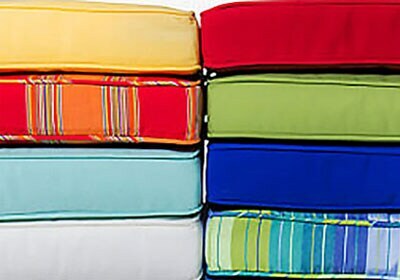 Make your patio furniture look and feel new this season with replacement cushions! 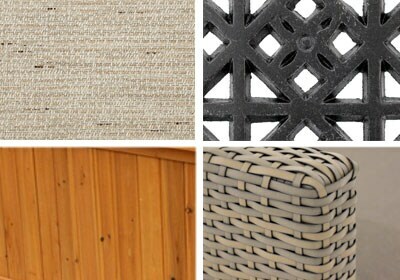 We answer what is Marine Grade Polymer patio furniture and why it is a great eco-friendly outdoor material. We also have tips and advise to easily clean it. 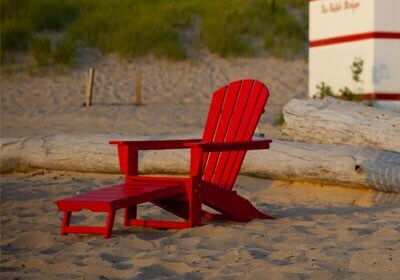 This guide answers the most frequently asked questions about outdoor furniture materials – including the different types of metals, plastics, natural materials and fabrics. Check out our glossary for information on common patio terms like teak wood, textilene, all-weather, bar height, and more! This guide will help you to make smart purchasing decisions that benefit your home and the environment. Patio season is upon us! If you're looking for new patio furniture or ways to update your current outdoor space, you'll want to know what's in and what's out. Follow our shopping guide to stay on trend this season. 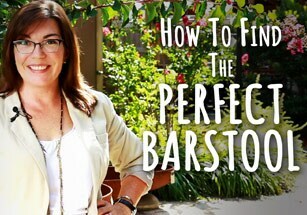 Height, material, and whether or not you want cushions are just a few factors to consider when buying bar stools. Check out our video for more info! 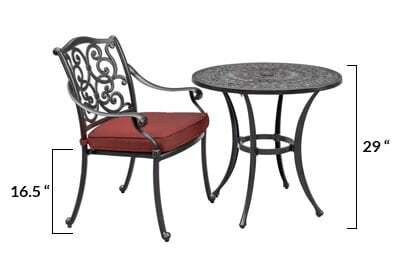 What's the difference between bistro height and bar height tables, and what size chair is needed? 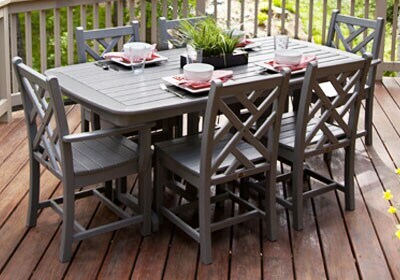 This guide covers the standard sizes of outdoor tables and chairs, plus more! Patio umbrellas come in many styles, shapes, fabrics, and colors. 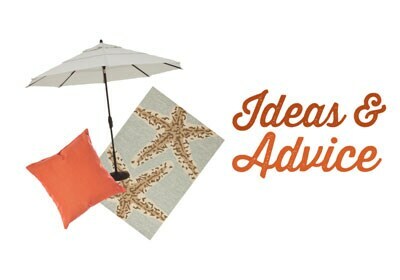 Let our guide help you find the right patio umbrella for your space! 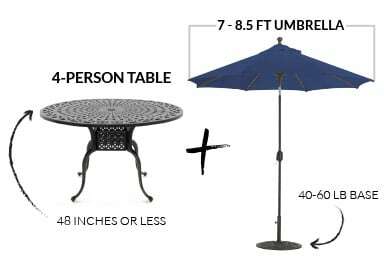 Determining the best size patio umbrella and base for an outdoor space is an important part of the buying process. 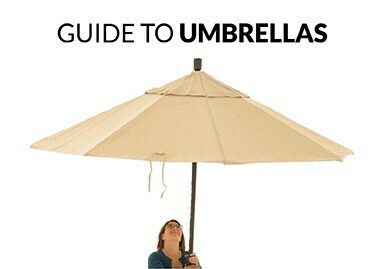 This guide will ensure the umbrella you select suits your needs. This helpful guide will teach you the correct way to measure your patio furniture and determine what size replacement outdoor cushions you’ll need. 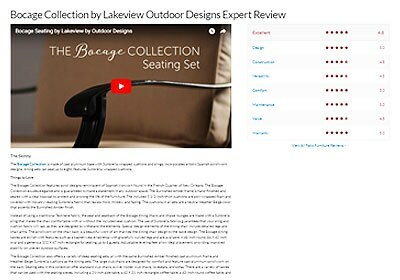 Our expert reviews give you the information you need to make the best purchasing decisions for your outdoor space. Our outdoor living inspiration guides will give you all the helpful hints and tips you need to design and entertain in your outdoor space. 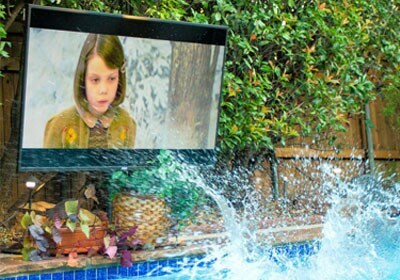 Discover different types, brands, and styles of outdoor TVs. 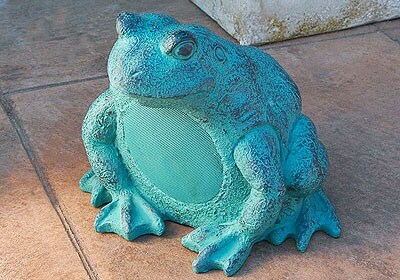 Use this guide to help you find the perfect addition to your outdoor space! Purchasing speakers involves a lot of technical terms. 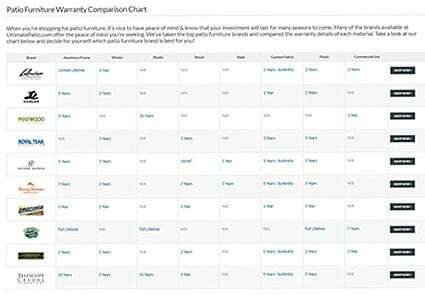 Take a look at our simplified buying guide to help make your buying decision a little easier. Gas or wood burning? Which material is best? 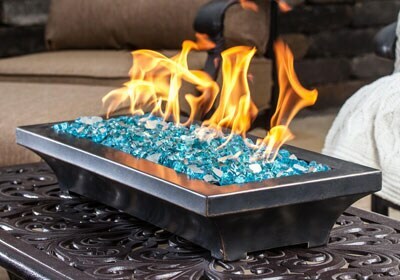 Get the all the fire pit answers and explanations you need with out Fire Pit Buying Guide. 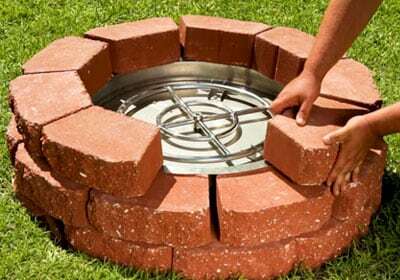 Looking to build your own fire pit? We've put together a step-by-step guide to make your building process easier. 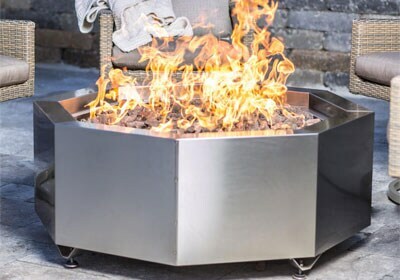 Check out our list of frequently asked questions regarding fire pits, installation, burners, and more! 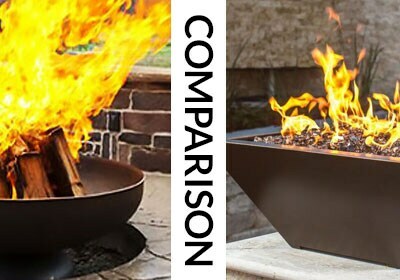 This helpful guide lists the pros and cons of wood and gas fire pits so you can make the best decision for your outdoor space. From explaining the benefits and advantages of each style to providing free design services, we're here to simplify patio heater shopping. Learn all about patio heaters. 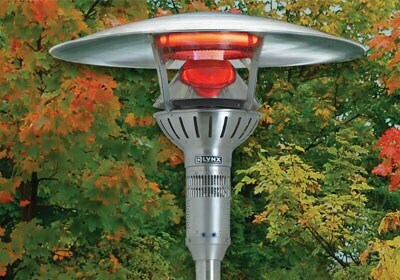 See photos, read guides, and find out how to choose the right outdoor heater for your needs. Use our fire glass calculator to determine how much fire glass you will need to fill your fire pit. Let us help you plan your outdoor kitchen. We’ll show you how to layout your kitchen and where to start first. 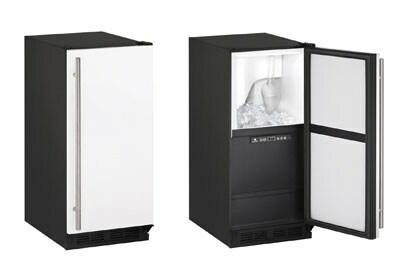 Explore top rated ice makers, the differences between portable and built in ice makers, types of ice cubes, and more! 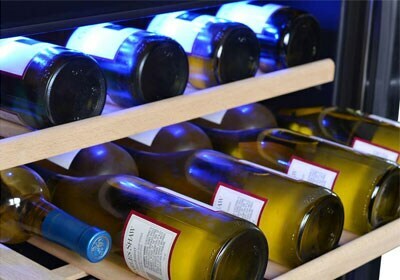 View our helpful wine cooler buying guide, see the top rated wine coolers, and check out our list of frequently asked questions. Our trade program for business and commercial buyers is a service for designers, architects, builders and other professionals to obtain trade discounts on our brands. 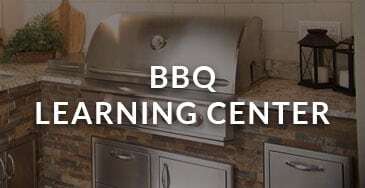 All our BBQ and outdoor kitchen articles, in one convenient place!